The essential, versatile Black Steel Wind Up Stand. This expertly designed stand combines all the must-have features you’d expect from a heavy-duty stand. The essential, versatile Black Steel Wind Up Stand. This expertly designed stand combines all the must-have features you’d expect from a heavy-duty stand. Blending strength, portability and stability, it’s an essential item for serious photographers looking to get perfect shots even in trickier environments. This heavy-duty stand is made to last, even when used on rugged terrain, and with heavy loads. The chrome plated steel adds strength as well as looking sleek, and it comes in 3 sections, with 2 risers. 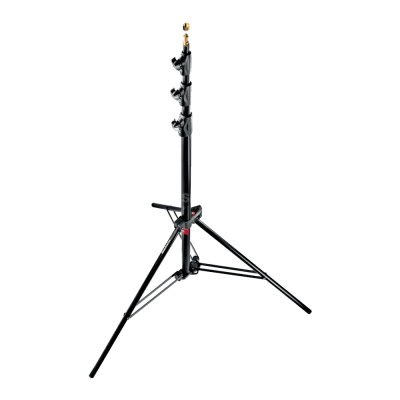 This enables you to raise and lower the stand in moments, without any fiddling. In fact, you can extend up as high as 370 cm, giving you scope to capture almost any shot. The top features handy, universal mounts for total compatibility too, helping you to easily mix and match with whatever gear you need. It has a 16mm female socket and a 16mm male stud included, and it can support up to and impressive 30 kg. 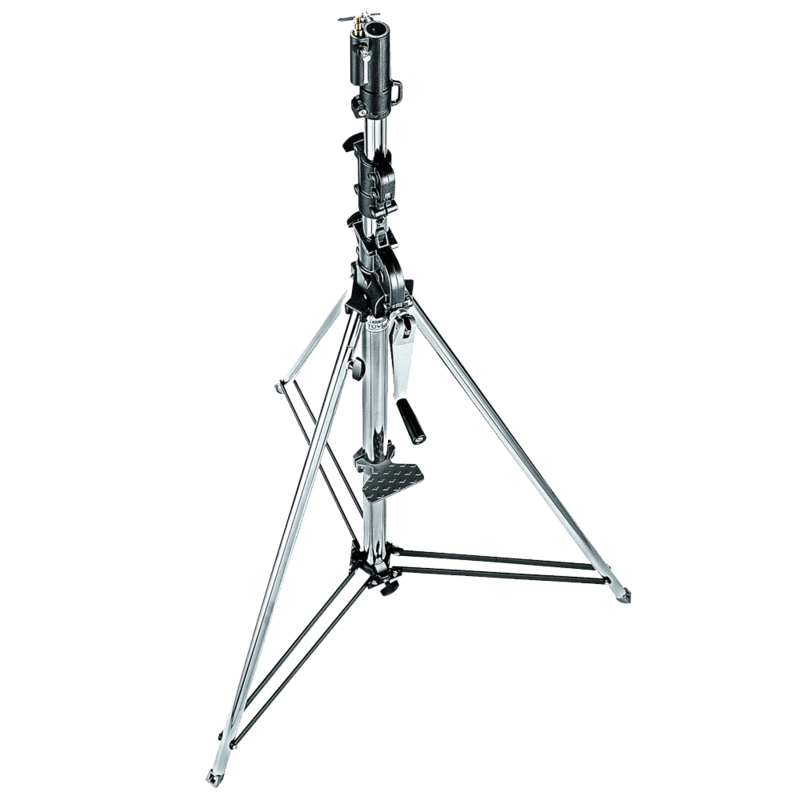 The levelling leg keeps everything nice and steady, even on rougher ground, and you can pair with wheels if you need to glide across the floor effortlessly.